If you missed JazzErie's 2012 annual Singers Night, you missed a stellar performance by Barbara Jean with the Presque Isle Little Big Band. But you can see her performance below. 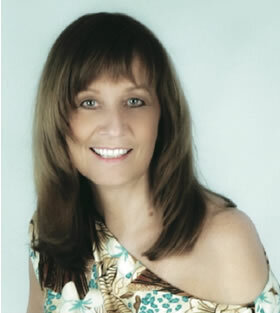 Barbara Jean began her stage career playing bass in a country band in Phoenix, AZ. She moved on to rock & roll and Top 40’s music as part of a traveling trio for two years, then settled back in her hometown, Jamestown, NY – continuing to play rock. Having always loved the standards, when she got the chance to fill in for a local big band singer, she did, “and it was love at first note.” She traded her bass for a microphone and has been busy ever since, gigging at restaurants, clubs and jazz festivals. She made her JazzErie debut at last year’s Jazz Walk, with the Charles Ventrello quintet. Four years ago, Barbara Jean recorded a CD of original music, “Sweet” (Red Admiral Records, Kent, England, 2008). Her second original CD, “Cool,” has just been released. It features band members she has worked with in recent years: Michael T. Jones – piano, Cameron Kayne – bass and Carmen Intorre – drums, along with special guests Ken Peterson – steel guitar, husband Steve Strickland – piano, and on two songs, son Tim Strickland. Later this year she’ll be performing at the Lewiston Jazz Festival and at Chautauqua Institution’s “Road Scholar Retreats.” Barbara’s website is www.barbarajeanjazz.com. Joe Dorris introduces Barbara Jean.